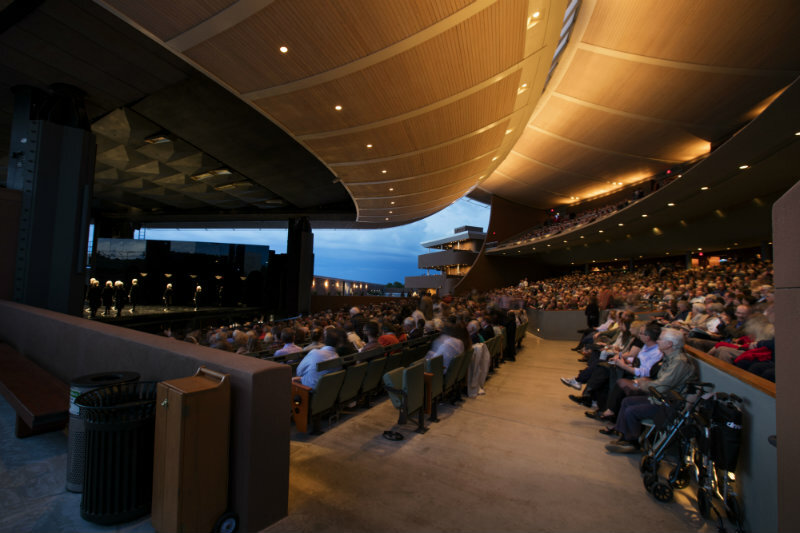 Whether you’re a seasoned Opera aficionado or novice wanting to see what an opera is all about in a stress-free environement, the world-class Santa Fe Opera is worth a visit! 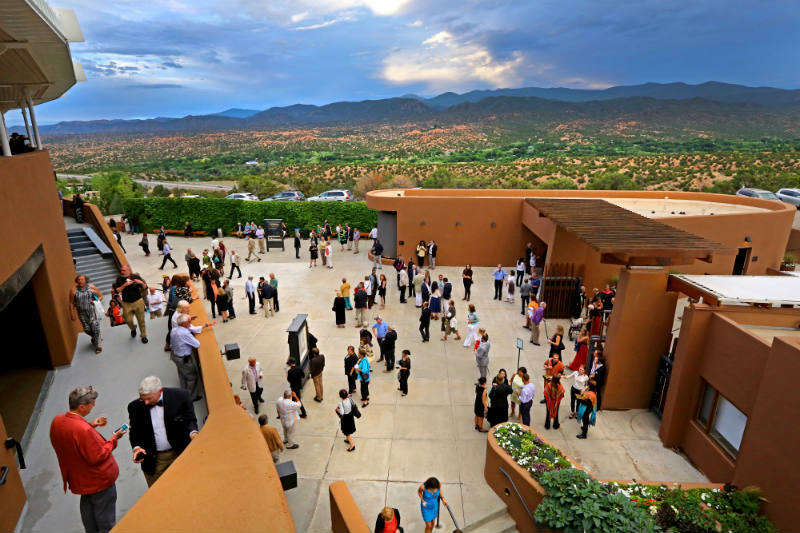 An award-winning venue for its design and architecture, this stunning open-air theater boasts breathtaking panoramic views of the Jemez and Sangre de Cristo Mountains. With over 2,000 seats and standing room spots with their own computer screens and multi-language translations, there is no bad seat in this expansive house. Theater Patio and Mountain View. Photo courtesy of Insight. In addition to the Crosby Theater, the Stieren Orchestra Hall is an impressive 3-story 12,650-square foot rehearsal space that hosts many events including prelude talks before performances, special events, host lectures, and community activities. 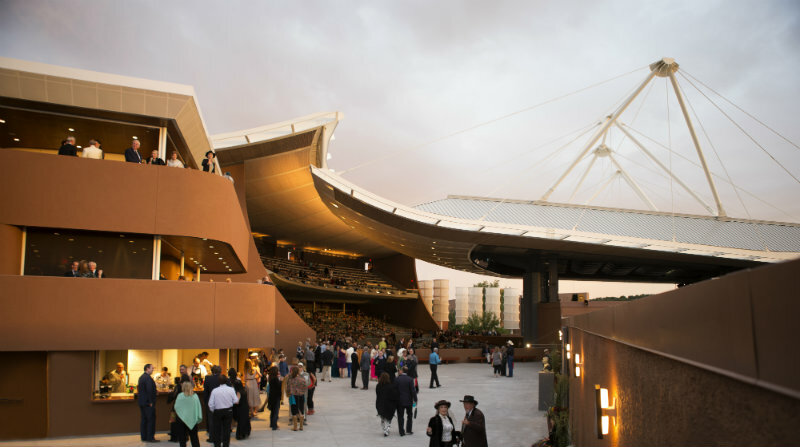 In total, these two structures and Opera Campus sit on a 155-acre ranch and is quite a sight to see and experience. The Crosby Theater photos courtesy of Kate Russell. The Entrance to the Opera House. And then there are the performances. 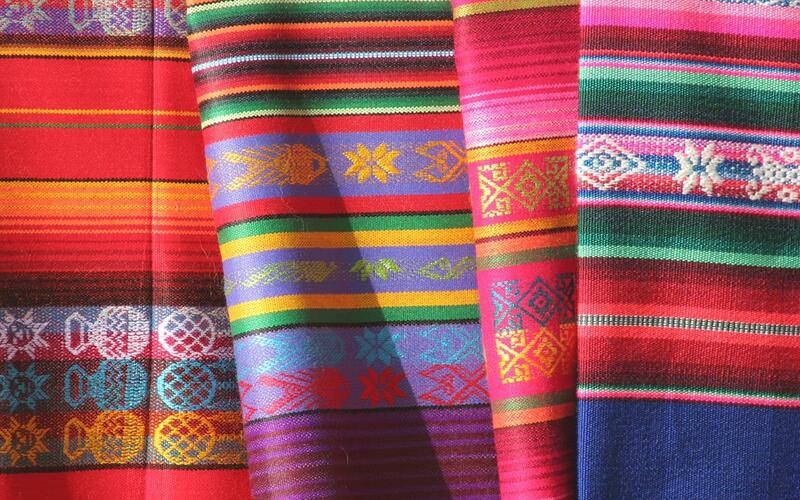 A fantastic and diverse season will make it difficult for you to plan just one trip out to Santa Fe. From Puccini’s Madame Butterfly to the perfect fusion of opera and venue: Doctor Atomic, there is something for everyone. Check out the 2018 and 2019 lineups and plan your trip today! 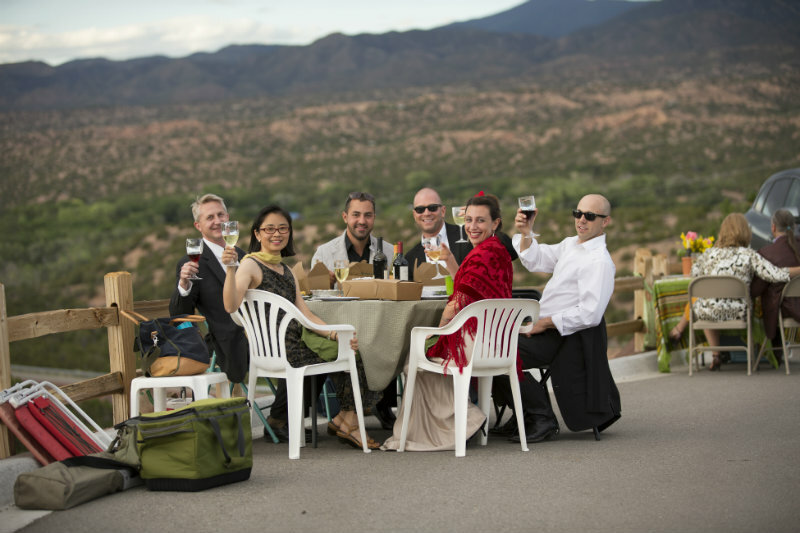 Be sure to complete your Opera getaway with our picnic packages below. 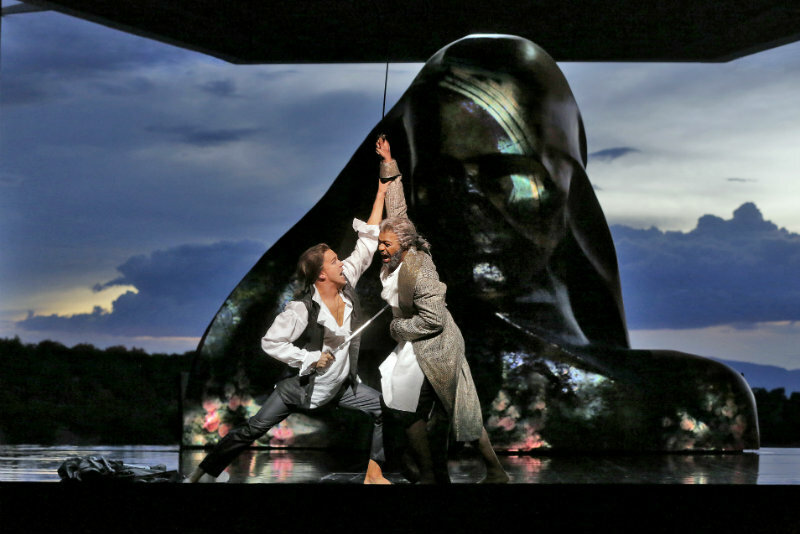 2016 Romeo et Juliette. Photo courtesy of Ken Howard. 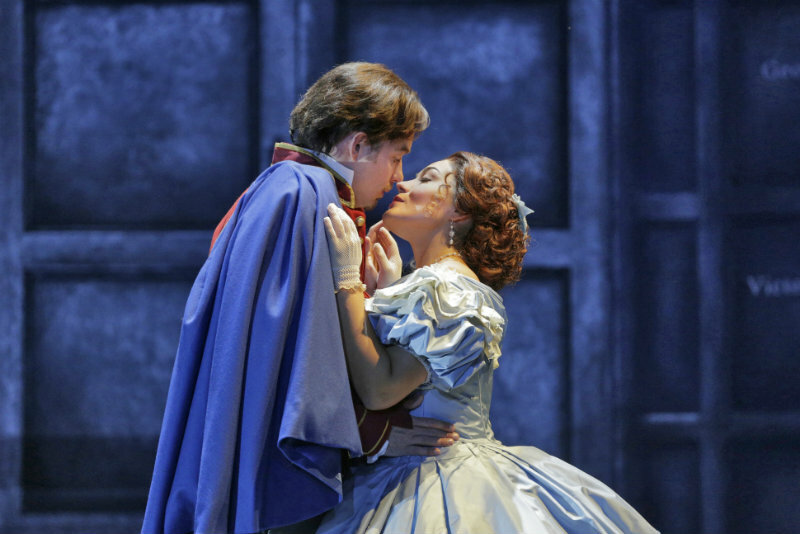 2016 Don Giovanni Performance. Photo courtesy of Ken Howard. 2016 Capriccio Performance. Photo courtesy of Ken Howard. 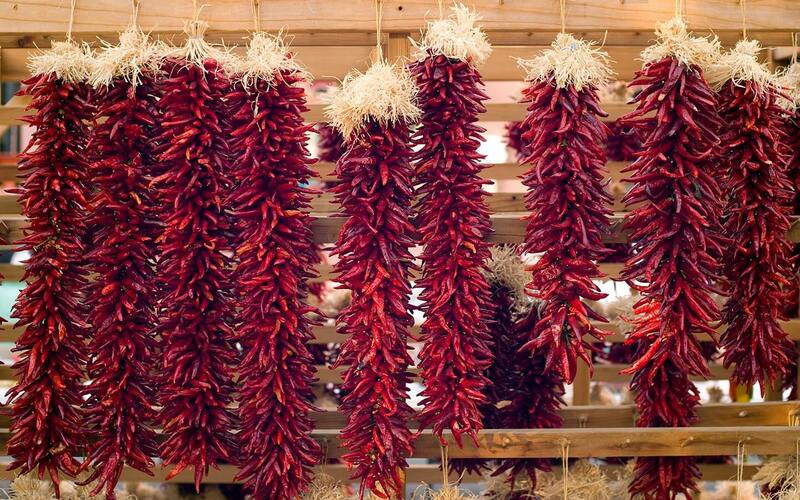 Opera fans will love staying at the Inn of the Turquoise Bear, the #1 rated Santa Fe Bed and breakfast set in a authentic rambling adobe estate with a rich history in the Santa Fe cultural scene. Additionally, you can add one of these great packages to complete your experience and enjoy unforgettable evening at the Opera! Tailgating at the Opera. Photo by Kate Russell. Tailgate in style with our Deluxe Opera Package. This includes everything you need to experience our opera in style. Your picnic basket is filled with a selection of artisan & house prepared foods including: salads, fruit, bottle of wine & sparkling water, and sumptuous desert. We even include café dining table and chairs for two, table cloth, and opera glasses for your use. Package is for two persons. Take the perfect picnic with you to the Opera House! 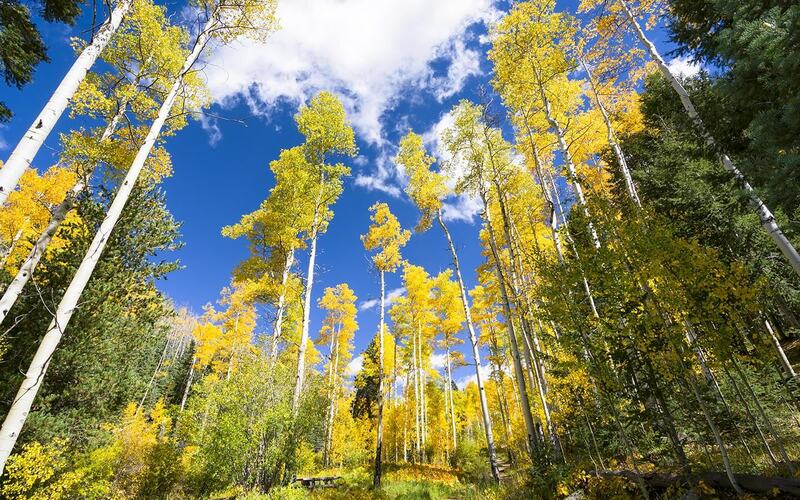 Enjoy a fresh loaf of bread, wedge of artisan cheese, dried meat, grapes and artisan chocolates at one of the picnic tables with beautiful views of the Sangre de Cristo Mountains before the performance. Package is for two persons. 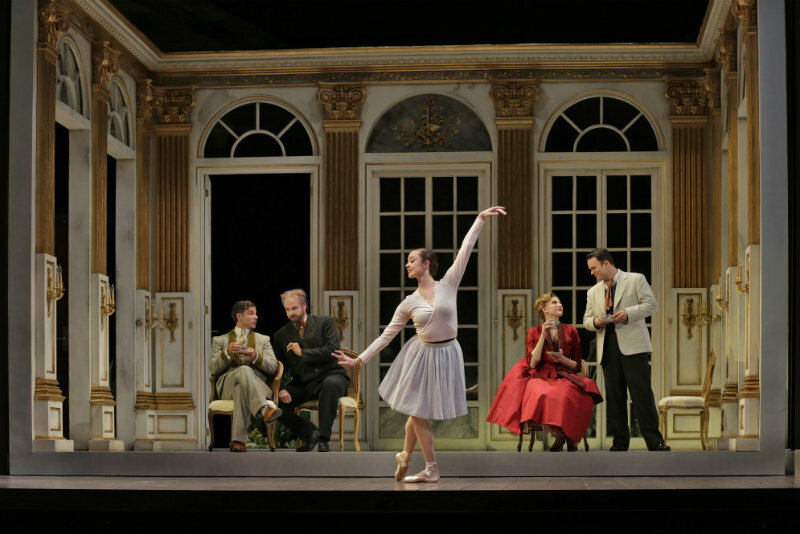 What better way to start your evening at the opera than with a simple celebration and toast? You’ll enjoy a bottle of chilled sparkling wine, light snacks, and two keepsake flutes. Cheers! Don’t let the 2018 season pass you by! Reserve your tickets, book your stay at the Inn of the Turquoise Bear, and enjoy your day at the Opera!